Ever since she first portrayed Agent Dana Scully in The X-Files, Gillian Anderson has been one of the world’s best-loved and most accomplished TV actresses. Equally at home in costume dramas (Great Expectations, War & Peace) and contemporary thrillers (Hannibal), Anderson always turns in good performances and attracts strong ratings. 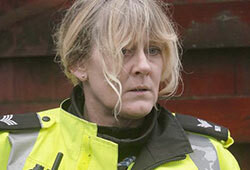 Right now, she is winning yet more acclaim for her performance as DSI Stella Gibson in BBC drama The Fall. Next year, she will feature in Starz’ adaptation of Neil Gaiman’s novel American Gods. One of the most notable characteristics of Anderson’s career is her appeal to audiences around the world. So this week, to celebrate Anderson’s latest outing, we look at a group of TV actresses who have broken through internationally – or are about to do so. Tatiana Maslany is a Canadian actress who has came to prominence with clone drama Orphan Black, which will end in 2017 after five seasons. 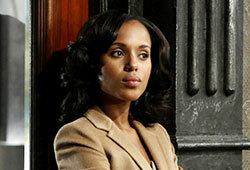 This year, she took home an Emmy for Outstanding Lead Actress in a Drama Series. One of the most exciting things about Maslany’s work in Orphan Black is that she has had to play multiple characters with distinctive personalities and traits – thus proving her versatility. Her next two projects are movies, one of which, Stronger, is about the Boston Marathon bombing. She has also expressed a desire to do more theatre. But when she returns to TV it will inevitably be something special. Maite Perroni is a telenovela star with more than three million Twitter followers. She shot to stardom a decade ago when she featured in Rebelde, the Mexican remake of Argentine telenovela Rebelde Way. By 2009, she had been named the new queen of telenovelas by Univision and continues to perform at the top of her game. Perroni has now starred in seven telenovelas, including acclaimed series La Gata. More recently she has starred in Televisa’s hit series Antes Muerta Que Lichita (I’d Rather Be Dead than Plain), for which she won a high-profile Best Lead Actress Award. 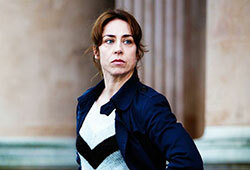 Sofie Grabol’s breakthrough in Denmark came courtesy of series like Taxa and Nikolai and Julie. But her status as one of the world’s top TV actresses was confirmed when she played Detective Sarah Lund in The Killing (Forbrydelsen). Over the course of three seasons (2007-2012), she was a major factor in the success of Nordic noir around the world. Illness took her off TV in 2013 but she made a welcome return in 2014 as Hildur Odegard in English-language drama Fortitude. She will be back for season two of Fortitude, which is due to air on Sky Atlantic soon. Miriam Leone was crowned Miss Italia in 2008. 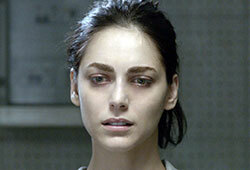 But since then, the Sicilian actress has gone on to become one of Italy’s best-known TV actresses. Key credits include Distretto Di Polizia, The Veiled Lady, 1992 and Non Uccidere, in which she plays female detective Valeria Ferro. Leone also appears in one episode of the forthcoming drama epic Medici: Masters of Florence, a production that will introduce her to the wider world of TV. Sarah Lancashire must surely qualify for the “national treasure” status that has previously been bestowed on British actresses such as Helen Mirren, Maggie Smith and Judi Dench. Her electrifying performance in the BBC crime drama Happy Valley is the crowning achievement in a career that stretches back to the 1980s. Her first big role was as Raquel Wolstenhulme in Coronation Street – a part that displayed her comic genius. Subsequently, she has appeared in dozens of shows including Clocking Off, Rose & Maloney, The Paradise and Last Tango in Halifax. Although Happy Valley wasn’t set up to be an international series, its success in distribution proves Lancashire has a fanbase that extends well beyond the UK. 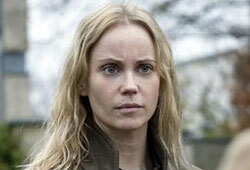 Sofia Helin’s performance as Saga Noren in The Bridge is one of the most admired pieces of TV acting of recent years. The Swedish-Danish coproduction, which has been aired around the world, currently runs to three seasons and Helin will be back for a fourth (and probably final) outing. Prior to The Bridge, Helin’s main credits were series such as Arn: The Knight Templar and Svaleskar. Even if The Bridge is over, the good news is that Helin will be seen again in Oliver Hirschbiegel’s new drama The Same Sky, which is set in Berlin in the 1970s. She will also be seen in The Snowman, a British movie adaptation of Jo Nesbo’s classic Harry Hole novel. Rebecca Gibney is a New Zealand-born actress who has carved out a successful career on Australian TV over the last three decades. Key credits include The Flying Doctors, Halifax f.p., Packed to the Rafters and, most recently, Wanted. In Wanted, Gibney and co-star Geraldine Hakewill play two strangers from very different backgrounds who are caught up in a deadly carjacking. They’re then forced to rely on each other as they go on the run. The six-part series rated pretty well in February/March 2016 and has been picked up for a second season (also six parts). Clemence Poesy is still known to many as a cute French girl from the Harry Potter movies. But she proved her prowess as a serious actress when she starred in The Tunnel, the Anglo-French remake of The Bridge. Trying to compete with Sofia Helin’s performance was a tough ask, but Poesy pulls it off beautifully as Elise Wasserman. She reprised the role of Elise this year in a second series of The Tunnel. Next up are two movies, Final Portrait and Demain Tout Commence. There’s no news yet of future TV plans. Previous TV credits include Birdsong, an adaptation of Sebastian Faulks’ novel where she played opposite Eddie Redmayne. Claudia Michelsen is a well-known German actress who recently impressed in Ku’damm 56, a TV miniseries produced by UFA for ZDF. 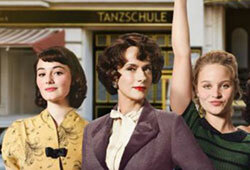 After attracting an audience in excess of six million, the 1950s set series has been recommissioned (Ku’damm 59). Michelsen (pictured centre) has been consistently busy since the late 1980s on both TV movies and series. For much of the last decade she featured in the popular crime drama series Tatort. More recent credits include Flemming, Block B Under Arrest and Crossing Lines. She also appears in the first episodes of new Epix drama Berlin Station. 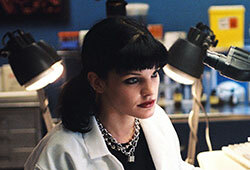 Pauley Perrette plays eccentric forensic scientist Abby Sciuto on CBS hit series NCIS, making appearances in its various franchises. Prior to NCIS, she played roles in shows like Dawson’s Creek and 24. Interestingly, Perrette is one of the most popular actresses in the US when measured by Q Scores (a measurement of the familiarity and appeal of brands and celebrities that is taken very seriously by the advertising and media community). Perrette is pretty modest about her popularity and has shown no desire to quit NCIS (in fact, she has signed on for seasons 14 and 15). But when she does decide to move on, she’ll be in heavy demand. Berguzar Korel has been one of Turkey’s leading actresses for much of the last decade. Her big break came in 2006 with Valley of the Wolves: Iraq. After this she had major roles in 1001 Nights (Binbir Gece) and Endless Song (Bitmeyen Sarki). A guest appearance in Magnificent Century was then followed by another triumph with ATV’s hit series Karadayi. The latter series, which aired from 2012 to 2015, saw Korel pick up a number of best actress awards. Choi Ji-woo is known around the world for acclaimed Korean dramas such as Beautiful Days (2001) and Winter Sonata (2002). But she is still very much in business, starring in recent series such as Twenty Again (2015) and Woman With a Suitcase (2016). In the latter, which started airing in September, she plays a woman who goes from being a disgraced manager at a law office to a great attorney. Like all the greats, Choi Ji-woo is very versatile, equally comfortable taking on serious, romantic or comedic roles.